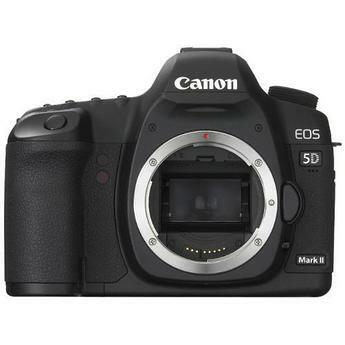 The Canon 5D Mark II is a professional digital SLR camera. Because of the nature of the IR enabling modification, we do not recommend this camera to anyone who does not fully understand the implications of the modification. We stock and can modify this camera to be IR+Visible, High-Red, IR-Only or Visible Hot Rod. IR+Visible+UV: Camera seee everything the sensor is cable of seeing. Camera will see some UV, the entire visible range and infrared from 715nm to 1200nm. 665nm: Camera will see from 665nm to 1200nm. Red channel will see visible red and infrared. Blue and green channels will only see infrared. 590nm: Camera will see from 590nm to 1200nm. Red channel will see visible red and infrared. Green channel will see come visible green and infrared. Blue channel will only see infrared. 715nm: All channels only see infrared. The red channel is the most open to the IR and contains somewhat different information than the blue and green channels allowing for some creative color effects such as red-blue channel swapping to get deep blue skies. A 715nm converted camera sees about the same amount of light as a stock camera so apertures and shutter are similar to a stock camera. 715nm is similar to a Hoya RM72 or Wratten 89B. 830nm: All channels only see infrared. Camera loses about 2 stops of exposure. Once you equalize color levels, picture will be almost completely black and white. The infrared effect is more intense at 830nm - skies are darker, clouds whiter and you see further through smoke and haze. HR (High Resolution/ Hot Rod). An HR camera has the Anti-Aliasing (Blur) filter removed and replaced with a thicker IR Cut Filter to keep the same focal plane. A Visible HR camera will maximize the resolution and color depth of the camera at the expense of possible moire pattens. Please see more about this conversion here. Our IR-Only cameras include an adjustment to the Auto Focus so that the camera focuses in the infrared region. The Canon 5D MK II has a full-frame sensor that allows the photoreceptors to gather more photons than the smaller sensors in other cameras. Because of this, the 5D MK II has exceptional infrared and ultraviolet performance. If you need to gather has much light as possible, we recommend the 5DMK II. User can see through lens when taking IR pictures Yes No Yes. Filter is internal. Please note that the anti-dust system is disabled on our conversions. Live View will work correctly. Modification will void your warranty. We can modify your Canon 5D MK II for a $450 fee + return shipping & handling ($20 for UPS ground insured within continental USA). Varies depending on the subject, CF card brand, image-recording quality, ISO speed, drive mode, Picture Style, etc. Note: All the specifications above are based on Canon's testing standards. The camera's specifications and exterior are subject to change without notice.